Sweet, simple blessings that encourage thoughtful gratitude for life's daily gifts and wonders. This accessible, wholesome board book is perfect for teaching babies and toddlers how to count their blessings every day. With simple, graspable text that inspires mindful thinking, and warm, vibrant illustrations, For Giving Thanks will fill children's minds with positive thoughts and help them appreciate life's special gifts. Your scent is so delightful, Like cinnamon and spice. Each time I kiss your tender cheekI have to kiss it twice. This oh-so-sweet tribute to adorable babies evokes the warmth and comfort of a delicious piece of yummy pumpkin pie. Amy Sklansky's delightful rhyming text makes this new board book the perfect read aloud to show little ones just how much they are loved. Show friends and family how much you appreciate them with the Very Hungry Caterpillar’s colorful book of thanks. Perfect for Thanksgiving or any day of the year, this charming book of pictures is the colorful way to tell loved ones “thanks!” Featuring art from the World of Eric Carle, this joyful book follows The Very Hungry Caterpillar and celebrates all that makes us most thankful. Introduce the youngest dinner guests to the joys of Thanksgiving and counting! Count from one to ten on Baby’s first Thanksgiving. Made more special when you introduce the youngest of readers to a variety of colors as they experience setting the table, passing the peas, and a walk after dinner. Celebrate the holiday with this colorful, delightful board book that will stimulate little brains and introduce basic counting skills. Everyone loves Thanksgiving and now little ones will be even more excited when they can read about Thanksgiving fun! 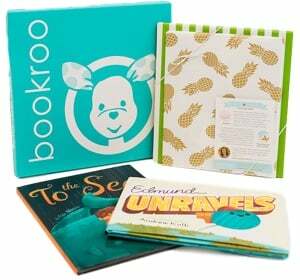 Give thanks with Spot in this holiday board book! It’s Thanksgiving, and Spot wants to make a pumpkin pie. Everyone celebrates together as his whole family helps prepare the treat! In Llama Llama Gives Thanks, it’s Thanksgiving time for Llama Llama and his family! That means yummy foods and autumn leaves and being thankful for everything from pumpkin pies to blue skies. Thanksgiving may only come once year, but in Llama’s family, giving thanks is always here! With short and simple rhyming text, the Llama Llama board books introduce Llama Llama to babies and toddlers before they’re ready for longer full-length stories. And their small size and durable pages are perfect for little hands. Tomie dePaola’s simple text and bright illustrations perfectly capture the joy of this special holiday. Young readers will love learning more about the traditional celebrations of the day. A sweet book that celebrates the little pumpkin pie in your life! With adorable illustrations, shaped cutouts, and raised elements, You’re My Little Pumpkin Pie is a sweet board book to share with your little one. With chunky pages for little hands and die-cut shapes to add depth and interest, children will love the interactive features alongside the story. This endearing board book is a wonderful read for Halloween or any time. When a snowstorm causes the power to go out, Katie and her parents think their Thanksgiving dinner with JoJo and Pedro is ruined, but by being a good neighbor, Katie manages to save the day. Simultaneous. On Thanksgiving Day, a girl who has just turned eight loudly insists that she be permitted to sit at the dining room table, rather than with the babies. Geisel Award-winning author and illustrator Ethan Long turns his attention to the day of thanks with a story that's to die for. It's the fourth Thursday of November, and the members of Fright Club are cooking up something spooky . . . a Thanksgiving feast! But when Vlad's family arrives unexpectedly, they put their own spin on each of the dishes. Now, the rolls are as hard as headstones and the turkey has been cooked to death. Vlad loves his family, but they've made a mess of their meal! Can this monster-filled family come together to save their feast and celebrate what the holiday is truly about? The horse knows the way to carry the sleigh--so hop in, hold tight, and join the journey in this dazzling holiday classic! In this stunning paper-over-board picture book, a blustering wind stings the toes and bites the nose, but hearts are warm and there's lots to eat--for 'tis Thanksgiving Day! Bundle up as you navigate a winter wonderland of sparkling snow-covered trees and adorable woodland creatures in this cherished holiday tale. Coupled with Emma Randall's delightful illustrations, the familiar poem-turned-song is the perfect way to celebrate the season. Just remember to leave room for pumpkin pie! Everyone knows that the little kids table is the place to be for any holiday or family gathering. They just know how to have fun! This silly, rhyming story follows a group of rambunctious cousins from table setting to dessert. A universal theme, The Little Kids Table will have kids--and parents!--howling with laughter. Mini is the littlest Pilgrim in her village. She’s too little to sew. Too little to bake. Too little to fish. But she’s not too little to make a friend. A touch-and-feel book that celebrates Thanksgiving and encourages gratitude for blessings in a child's life. In this new touch-and-feel board book, textures and bright artwork bring to life the things children experience at Thanksgiving. The narrator lists things for which he or she is thankful. Tactile experiences throughout the book engage the reader and help children to connect the book to the textures in their actual surroundings. Soft, vibrant watercolor illustrations add warmth and sweetness to the book. Kitty does not like Thanksgiving. Kitty LOVES Thanksgiving. Specifically, Kitty loves turkey . . . and will do anything to get her paws on it. So, Kitty comes up with a plan but in perfect cantankerous cat fashion, can’t quite pull it off and ends up with the turkey (and all the fixins’) on her head. No, Kitty does not like Thanksgiving. A young boy awakens with the dawn, opens his eyes and looks closely at his world. He admires all that surrounds him, large and small, from the radiant sun to a tiny, but exquisite, ladybug. "Today is today, and it is a gift," writes Tomie dePaola in this meditative and joyful book. Simply and beautifully told, and illustrated with jewel-like paintings, this picture book encourages each one of us to be thankful.